I fell in love with my wife while I was studying Applied Positive Psychology at the University of Pennsylvania. It may be that these two events occurring simultaneously were a coincidence, but I actually think they are related in a deep way. I was studying things like the importance of positive relationships to health and happiness, the positivity resonance that love inspires, and how to recognize and appreciate strengths in other people. And I found myself recognizing and appreciating the strengths in my girlfriend, and enjoying the positivity resonance that we shared together, and appreciating the value of being able to share my life with someone. Probably I would have fallen in love with Catherine anyways. But we’ll never know, will we? There is good news for people who want to profoundly improve their romantic relationships without the considerable time and money investment that is required for a graduate degree in positive psychology. 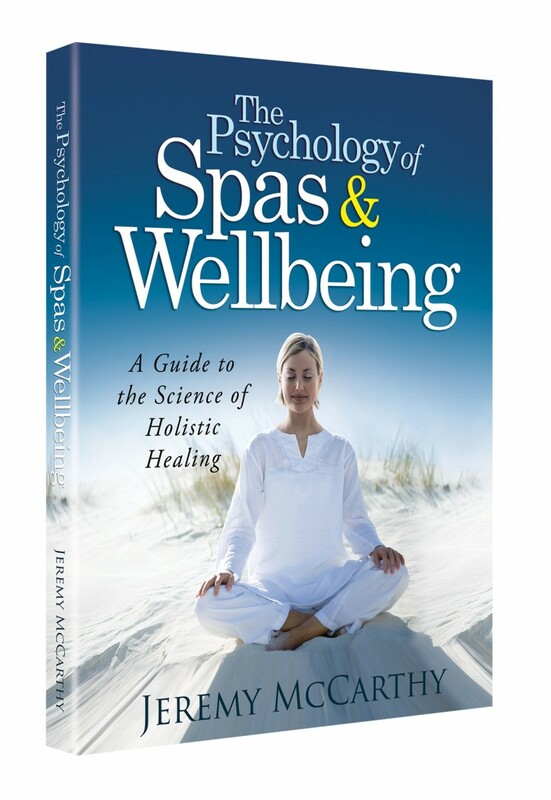 I have just finished reading a review copy of a new book that has been written by Suzie Pawelski (another fellow MAPP grad) and her husband, James Pawelski, who is the director of the MAPP program and one of its most esteemed and beloved professors. 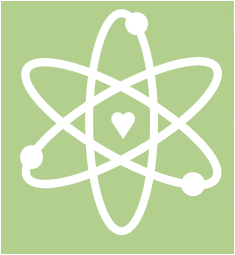 Is it a coincidence that Suzie fell in love with James while studying positive psychology? This is a mystery that does not get solved in the book. But Suzie and James have indeed been applying the lessons they have learned through their studies to their own relationship and they are sharing their stories with others. In the book, they discuss the pitfalls of having a relationship that is based purely on pleasure, or on utilitarian needs. They present the ideal as an “Aristotelian relationship,” which is a partnership dedicated to becoming the best version of yourself while simultaneously bringing out the best version of your partner. I had never heard this concept of Aristotelian relationships before, and I find it a wonderful lens to think about creating a relationship based on virtue. Using “virtuosity” as the measuring stick for a relationship, is a lofty goal, but to hear Suzie and James explain it, it sounds like the right one. Most relationship advice seems to focus on “finding happiness” with another person or finding someone who “meets your needs.” This common language sounds superficial when you compare it to finding a relationship that elevates both partners to become their best selves. I like to think that my wife and I fit well into this idea, and that it was the recognition of this, early in our relationship, that led us to see the lifetime potential of staying joined together. In the book, there are tips for getting to know your partner’s strengths and virtues, bringing them out in the relationship, and how to express and receive admiration along the way. James and Suzie do a good job of emphasizing the skills needed for both giving AND receiving in a relationship. As they describe, a relationship is like a dance in which both partners need to know how to lead at certain times, and both partners need to know how to follow. Since getting married, Suzie and James have been learning to dance (both literally and figuratively) and they share not only the strategies they have found successful, but some of their missteps along the way. I think it’s safe to say that you don’t need to study positive psychology to have a great virtuous relationship. But it seems it doesn’t hurt. Check out Happy Together and let me know what you think. Pawelski, S. P. & Pawelski, J. O. (2018). 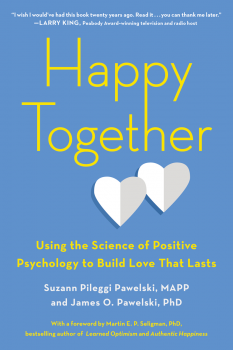 Happy Together: Using the Science of Positive Psychology to Build Love that Lasts. Penguin Group: TarcherPerigee. Maybe I think different about the real scope of positive thoughts in any type of emotional relationship in which two people are involved where different lifestyle, beliefs and culture can coexist in a single environment. But that’s just my personal opinion !. Thank you for your comment Nadia. I’m not sure what aspect of the article you didn’t agree with. I think James and Suzie’s approach works well in a couple with very different beliefs and lifestyle because they practice recognizing and appreciating the strengths that each person brings, which may be quite different. In the book they share many examples of this from their own relationship but maybe I didn’t express it clearly enough. Thanks for reading.